Funeral of the late Sir Robert Williames Vaughan, Bart., of Nannau. The funeral of this highly respected gentleman took place on Saturday morning, the 29th ult., and will long be held in recollection by all who witnessed the impressive and mournful scene as it at once sufficed to show how deeply he was lamented, and how sincerely he was esteemed by all who knew him. 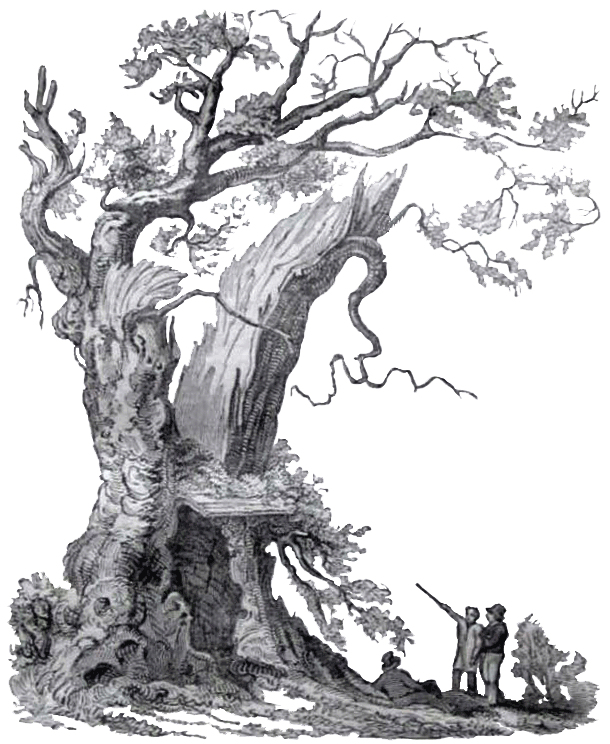 The Friendly Society, established in 1802, of which the late Baronet was an honorary member. The Rechabite Female Friendly Society. The Llanfachreth Friendly Society with black flags and scarfs. Carriage containing the Rev. George Phillips, P.C. of Llanfachreth, and Mr. John Wynne, Surgeon, Dolgelley. Eight female domestics, in mourning, two-a-breast. SIX BEARERS, tenants of the deceased, with black cloth headbands. THE COFFIN, covered with a handsome black cloth pall, (made expressly for the occasion and directed by the deceased to be afterwards given for the use of the parish) containing THE BODY. The coffin was placed on a neat platform, swung from the springs of the deceased’s carriage, drawn by four of his own horses, and driven by his own servants, in accordance with the wish of the deceased. Mourning Coach and four. Containing the deceased’s only son, the present Baronet, accompanied by W. Wynne, Esq., of Peniarth. Carriage containing Mr. W.P. Jones, Cefn Rug, and Mr. Owen Jones, Carnarvon, Agents; and Mr. Hugh Jones, Butler, outside. Twenty-four labourers, two a breast, with hatbands, of black cloth. Eight of the deceased’s servants, two a-breast, with black silk hatbands. The present Baronet’s Carriage, closed. The Lord Lieutenant, and the member for the County. An innumerable number of the friends o the deceased, and a train of 52 carriages, joined the procession on the road. When the procession reached the church of Llanfachreth, it far exceeded three thousand persons, and had a most imposing effect. The burial service was read in a solemn and impressive manner, by the Rev. G. Phillips, while deep and sincere sorrow marked the demeanour of all present, particularly the household. The offering of the household was, for the clergymen £49. 11s. 4d. and upwards for £28. for the clerk. The churches of Llanfachreth and Dolgelley, were hund with black cloth, and funeral sermons were preached on Sunday; at Llanfachreth, by the Rev. G. Phillips, from 1 Cor. 15 c,26 v,; and at Dolgelley, in the morning, by the Rev. N.W. White, from Rev. 14c,13v., and in the evening, by the Rev. J.C. Davies, from Psalm 39, 5v. Sir Robert was born 29th March, 1768, and died 22nd April, 1843. Messrs. Robert and William Brittain, of Chester were the Undertakers. An accident occurred in returning from the funeral that might have been attended with fatal consequences. A spirited horse belonging to Mr. Revely, on which the worthy member for the county was riding, being pressed by the crowd, became restive, reared, and fell backward. Mr. Richards narrowly escaped from the animal falling upon him. His friends will be rejoiced to hear that he received no serious injury. “Disapproving of many funerals, I write my wishes relative to my own internment. I would have my remains shrowded in flannel, and placed in such a wooden coffin as may be deemed proper. 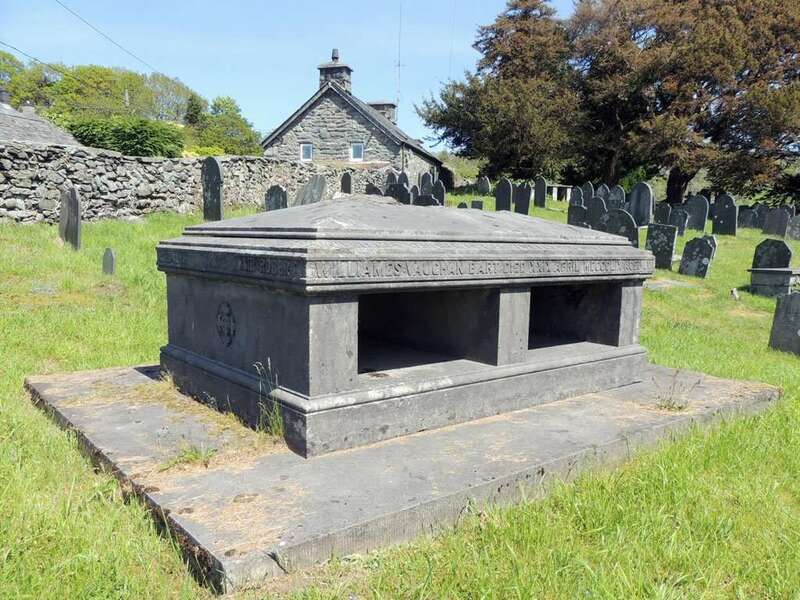 I would wish to be buried in the the churchyard of Llanfachreth, in a secluded spot, shortly after post mortem symptoms make their appearance:– the coffin to be placed on a platform, mounted on the springs and axels of my carriage – the body thereof to be removed for that purpose. I would have the coffin covered by a simple pall of black cloth, to be afterwards given for parochial purposes. I would have none asked to attend, or desired not to attend at my internment: nor would I wish for any unnecessary parade in the distribution of scarfs and hatbands on the occasion. Silk bans and scarfs should be given to the clergymen and medical attendant, and large cloth hatbands adequate to make waistcoats, to 24 of my poorest labourers or small tenants, together with 2s. 6d each. I would also have similar hatbands given to the 12 young tenants, or their sons, who may carry my remains to the grave, with 10s. in money to each.